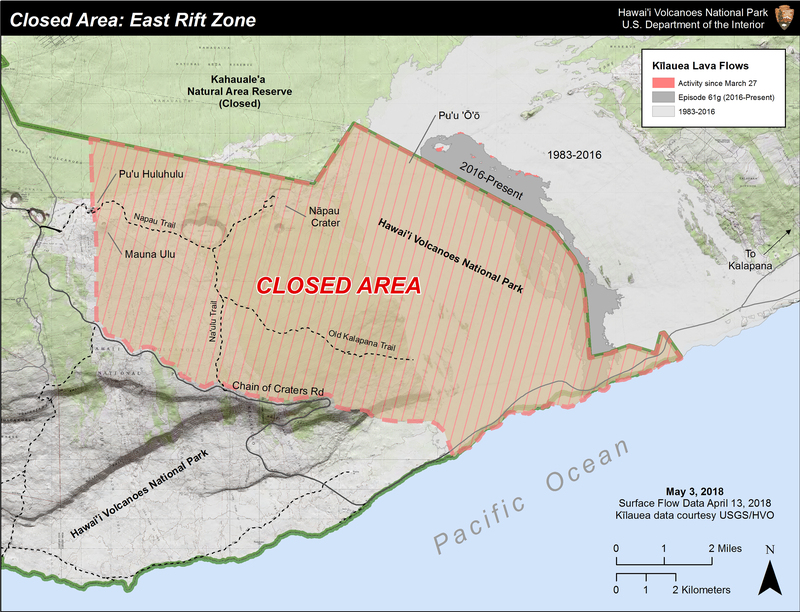 Hawaii National Park, Hawai‘i – Due to persistently unstable volcanic activity and the possibility of a new eruption, park officials temporarily closed Nāulu Trail, parts of Nāpau Trail and adjacent wilderness in Kīlauea Volcano’s East Rift Zone for public safety today. 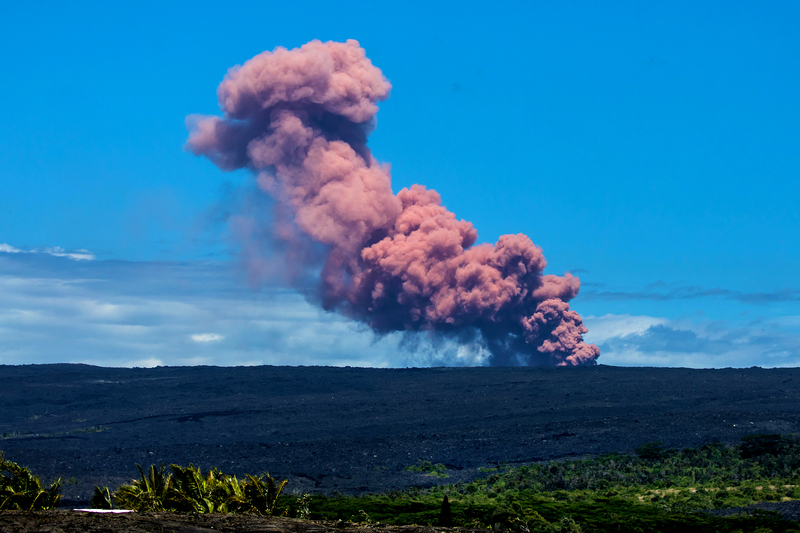 A 5.0 magnitude earthquake around 10:31 a.m. Thursday (May 3) triggered a small collapse at Pu‘u Ō‘ō vent that sent a rose-colored plume billowing skyward, and deposited ash downwind. Earlier, the lava lake within Halema‘uma‘u Crater at the volcano’s summit dropped about 100 feet or more below the vent rim. Lava is no longer visible within Halema‘uma‘u. “Today’s activity further supports the continued instability in the East Rift Zone,” said Park Superintendent Cindy Orlando. “Safety of visitors and staff is our highest priority,” she said. Approximately 31,660 acres (9.5 percent) of the 333,308-acre park are closed. Most of the park remains open, including Jaggar Museum, Nāhuku (Thurston Lava Tube), Mauna Loa Road and much more. On Wednesday, park officials extended the closure of the Pu‘u ‘Ō‘ō cone to the ocean, closing the gravel emergency access road from the eastern gate near Kalapana to the western gate at the end of Chain of Craters Road, and all land on the makai (ocean) side of the emergency road. On April 30, the crater within Pu‘u ‘Ō‘ō collapsed, and a swarm of low-magnitude earthquakes continues to rattle communities in lower Puna. 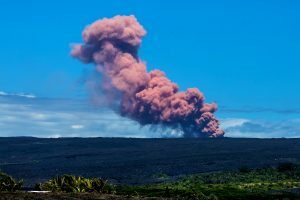 Scientists at the U.S. Geological Survey Hawaiian Volcano Observatory report that an intrusion of magma is heading eastward from the vent towards Highway 130.